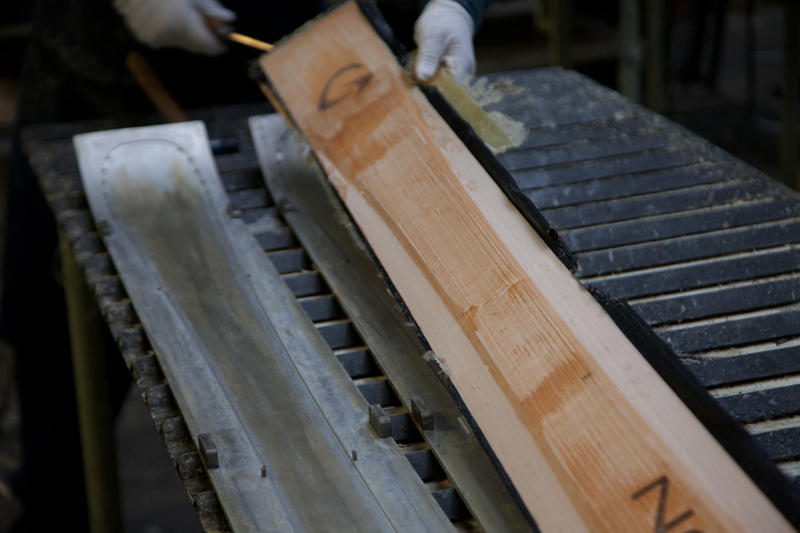 Raw ski coming out of the ski press – now the labour intensive finishing process begins. 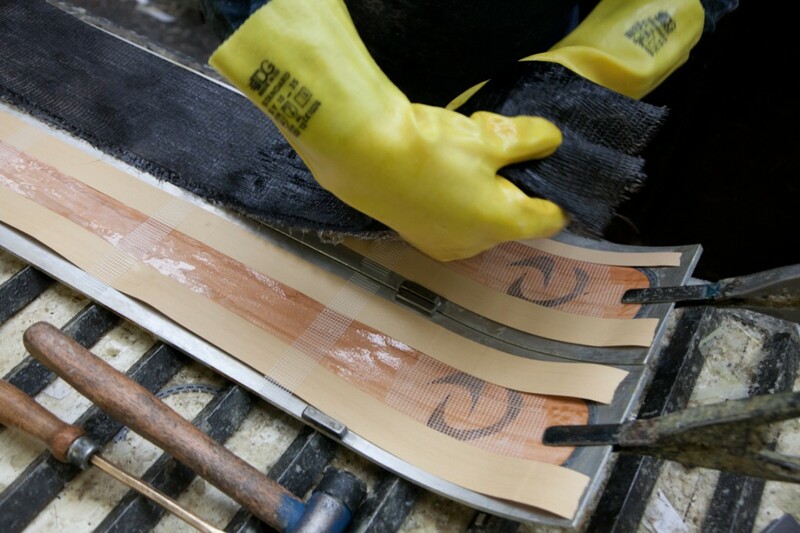 The high tech window shows the lower basalt rock fibre belt. 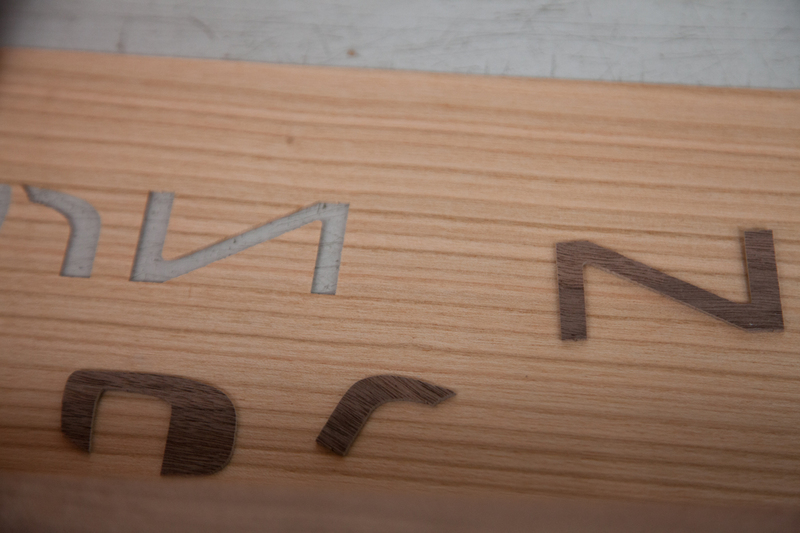 Letters in cherry and walnut wood – CNC cut and exchanged by hand. For the limited edition ski Arctic Change, Arctic reindeer antlers are cut into stripes, glued together, and a CNC controlled high water pressure cuts out the logo G.
The letters are CNC cut by high water pressure from walnut wood and exchanged with the letter negatives cut from the cherry wood. 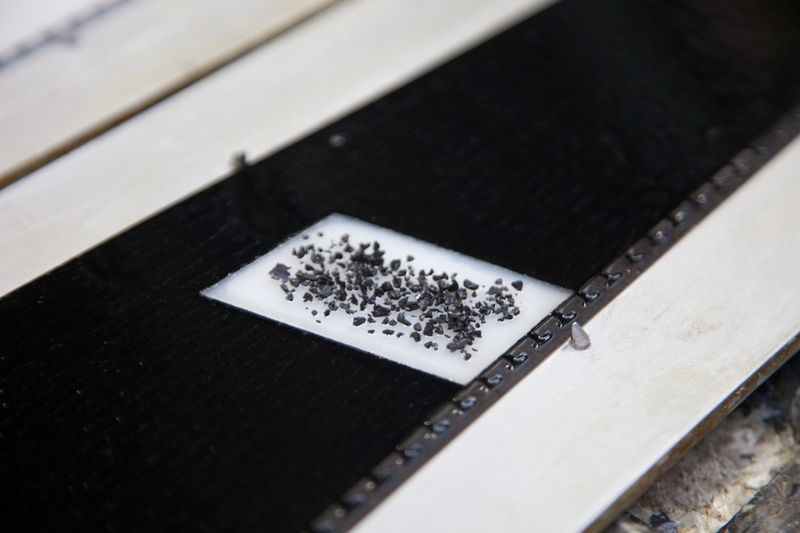 The limited edition ski Arctic Change has a transparent window in the black racing base showing original coal from a mine in Spitsbergen. 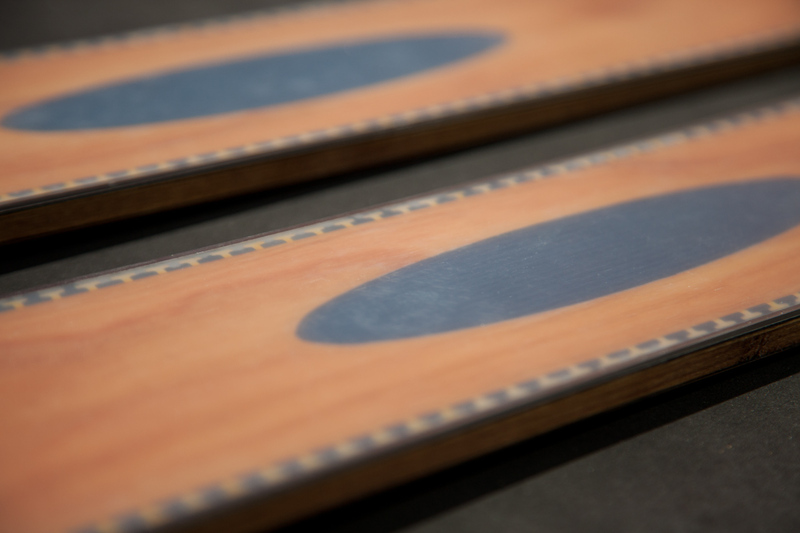 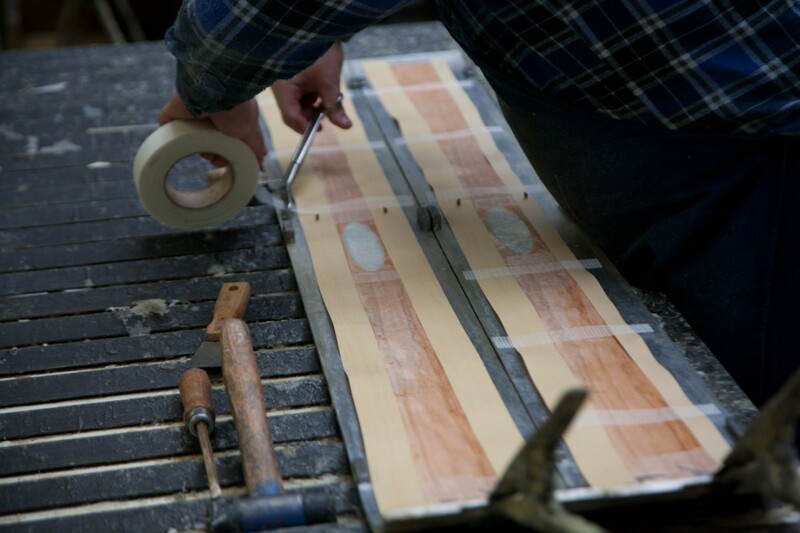 The wood cores of Grown skis are laminated from certified European wood – hard beech wood in the centre for strongest binding screw resistance, outer stripes of light poplar for weight reduction, and sidewalls from highly water resistant robinia. 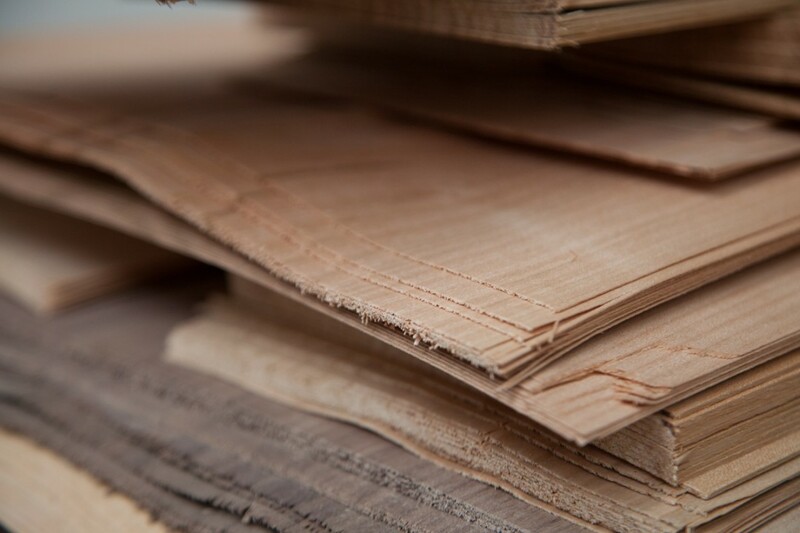 The lower and upper wooden veneer are made from certified European cherry and walnut wood. 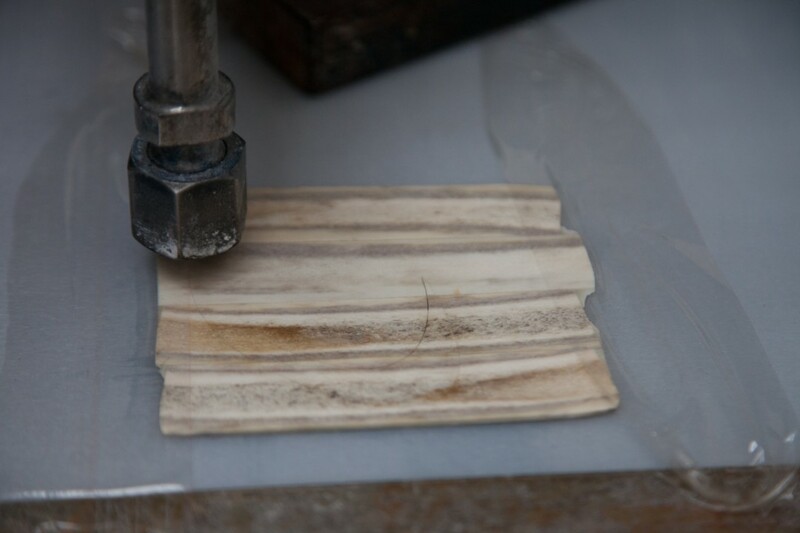 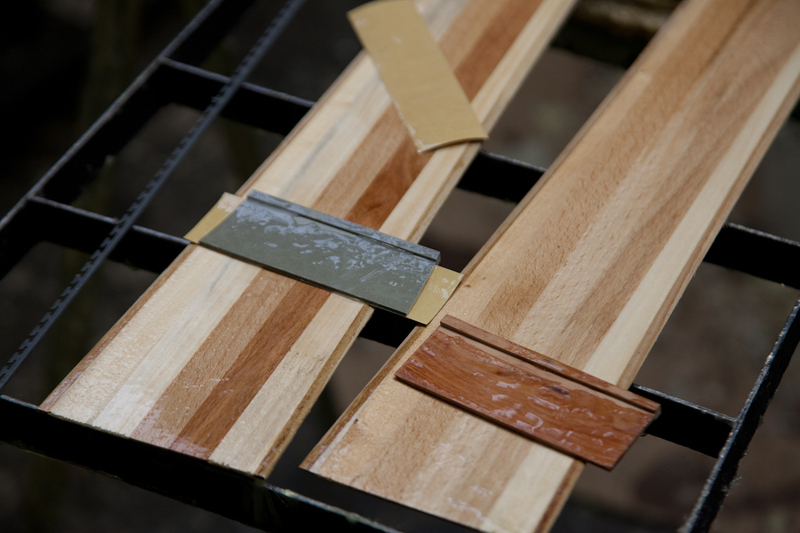 Ski material layers ready to go into the ski press – visible is the lower wooden veneer with the oval ‘high tech window’, that opens the view to the basalt fibre belt below.